Saturday, 30th of March, will be TAW@WAR tournament for 2019! Can’t wait to see the teams battle it out for the top spot! If you did not sign up, feel free to spectate and meet some new people! Check the “[MMD] Events” TS channel for final details. We look forward to seeing you there! Today is the last day to sign up for the TAW@WAR tournament as a [solo or group]. Places are filling up fast, so be sure to complete the registration form by the end of today! We are eagerly waiting to see who will become the TAW@WAR champion!! We are hosting practice days for everyone who wants to join. These days are Saturday the 16th and Saturday the 23rd both starting at 8PM CET/2PM CST. Its a good way to know your opponents and work together with your team. See you at the practice days and at TAW@WAR ofc. Update 1.2: The mode that will be played is 5v5 Capture the flag. Feel free to practice with your team this mode. If you have questions about the TAW@WAR events, feel free to come to us. Be sure to check out your teams! Not to late to register; sign up as a team or a solo! As it's March 1st, practice is open! Our events team is still setting up our private server, but if you would like to practice on a public server, you are more than welcome. The spring of 2019 TAW@WAR is about to begin! Be ready to dominate 30th of March @ 20:00 CEST/1:00pm CST. What is TAW@WAR? 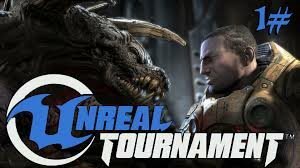 A TAW-Wide Tournament for members to participate and determine who is a gaming champion amongst all participating members! To insure no one has an advantage, the battlefield will be wiped clean as a non-TAW game will be selected; specifically a game that is F2P and PvP based. Along with bragging rights, the winner(s) also receive the coveted TAW-Wide Tournament Medal. This medal is exclusive as it is only awarded to two people or teams per YEAR. The Commander in Chief of TAW will present the medal to you directly, accompanied with the 5-star line shared with all other CIC awarded medals. This spring, the selected game is…Unreal Tournament an epic FPS with the world of a old cartoon. The event will be streamed on twitch.com/TAWTV. Members are divided into a 5 member team v 5 member team with single elimination matches in a bracket style; which means the team that wins best 2 out of 3 will move on to the next round. The Team or Solog sign-up is NOW OPEN. If you cannot attend and have signed up please let SOCOP staff know, as soon as possible. If you are signed up as a group, and come time to play, one of your members have failed to show up, it is your responsibility to find a proper replacement, or your team will be disqualified. Games are to be recorded or streamed with a member of SOCOP or a TFO as referee's. This time we are getting the first place! Time to send my old crew a message. See y'all on the battlefield. and I got a squad together, see you all on taw@war! Albenji and I are looking for a couple more for our team.